basic stitch like an increase. June shows you a dozen different methods, each particularly suited to different projects and different knitters' needs. For every stitch, every material, every design, June has tested the various techniques and brings you the very best information, informed by decades of experience and thousands of hours of practice. 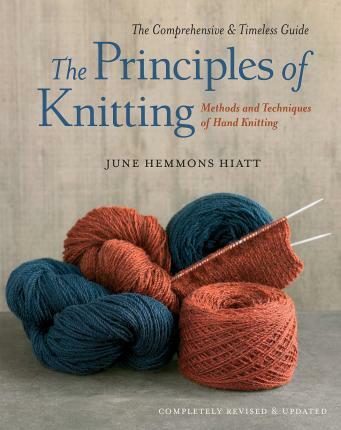 PRINCIPLES OF KNITTING, considered the "bible" of knitting instruction books. She lives in San Francisco with her husband.